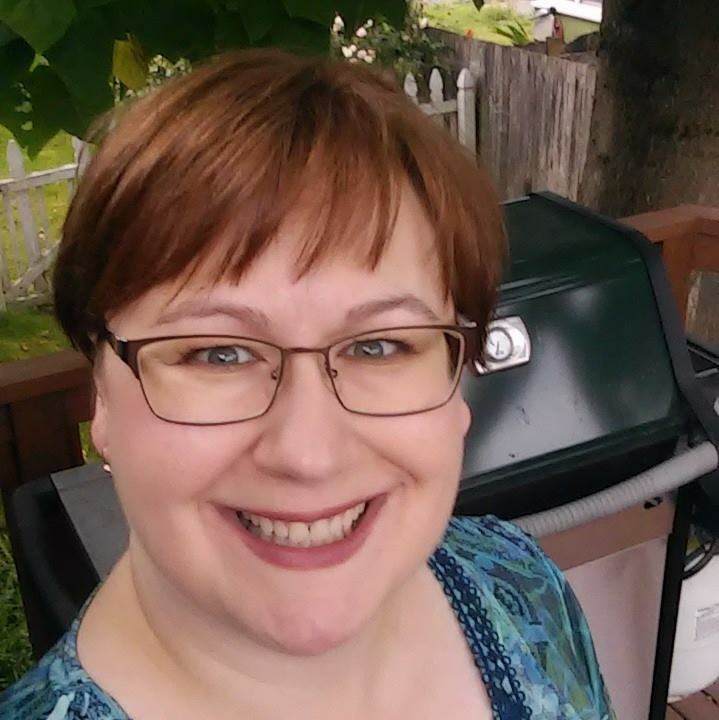 Crafty Lalia: It's a "Use It Up" Blog Hop! Here's a Friday evening post because I'm teaming up with some girlfriends from across North America to present a little blog hop. Welcome if you're coming to Katy's blog. You'll be hopping in a circle and seeing it again in a couple hops. It's the end of July and just over a month away from a new Catalog. Our 2017-2018 catalog and Idea Book was extended thru August 31 to make way for 1 GINORMOUS 4 month catalog. No more looking between 2 catalogs for a while. Since this was announced, we're learning that a few items and colors are being discontinued after being around for a year or 20+ years. Cranberry and Crystal Blue are retiring. They were part of the D.O.T.S. color pallet as far as I know. My first card features Poppy, Crystal Blue, Pacifica (all retiring) and Lemon. I've been making a few simple cards lately that use the fun cuts on the Artistry Cricut cartridge that I just haven't had a chance to use before. I've looked at this kite many times but never made it, so here it is! My second card is this adorable ice cream cone. Once again, it's from the Artistry Cricut Cartridge! These Cricut Bundles are changing in September. They'll be $10 cheaper... but that's because they're removing the paper pack that's included. Get it now and get a better deal with the paper! This card features Blossom, Flaxen and Poppy (all retiring) and the Basics Fundamentals paper pack that's already sold out. The strip of glitter paper is very old retired pink glitter paper when we sold 3 shades of a color per pack of glitter paper. 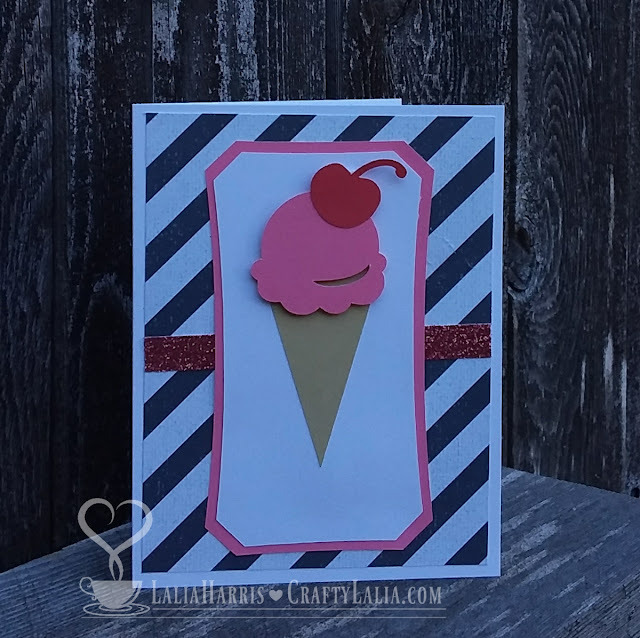 This card was inspired by Angie's ice cream cone card I saw on her Instagram. So now that you've seen my cards where's I'm using it up, please keep hopping to see more! 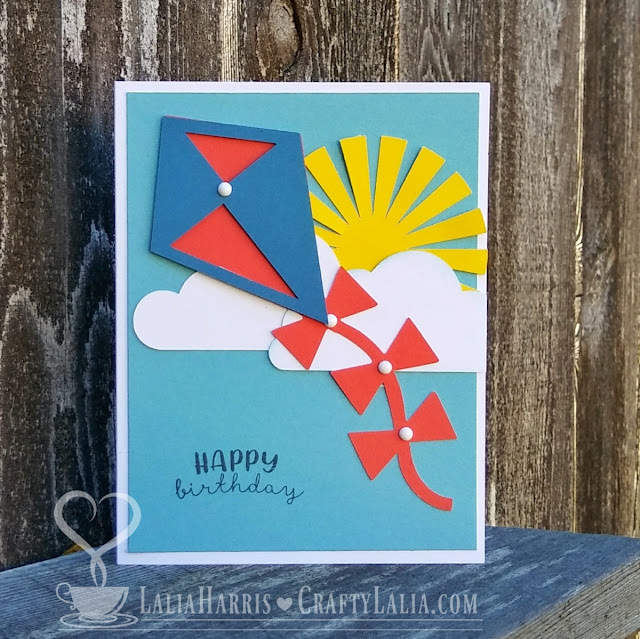 Please hop on over to Jayma's blog to see her use it up creation. With joy in my heart and coffee in my cup, have a great weekend!